What is better when I am in debt, a debt settlement company or a bankruptcy attorney? The answer to this question is easy. A bankruptcy attorney is better than a debt settlement company and bankruptcy is almost always better than debt settlement if you wish to do it. If you have debts but you don’t want to file bankruptcy for some reason then debt settlement through an attorney can be a good alternative. I often settle debts for my clients who don’t wish to do a bankruptcy. We look at the client’s situation, evaluate the debts and the amounts owed, and we propose a settlement. This settlement is forwarded to the creditors and in the settlement proposal we state that everyone must agree of my client will go bankrupt and the creditor will get nothing. Creditors usually realize that bankruptcy attorneys will file a bankruptcy without a problem and they usually come around and agree to some type of settlement. It does help though to have money to settle with as getting the creditors to accept payments is tough. They want to settle the entire account if they are to take a reduced amount. Remember that the collection agencies have bought this debt for pennies on the dollar so a definite reduced amount is far better than an uncertainty or nothing at all. Debt settlement companies that say they specialize in settling debts (the ones that you see advertised constantly) are probably not a good option in my opinion. These companies are very expensive, take a long time, and you get no legal protection. My clients often pay thousands of dollars to these companies and sometimes they get few or none of their debts settled in the end. (See my article on my website about debt settlement companies). Clients come to me after having been sued by one of their creditors that was supposed to be taken care of in the settlements. The client then often decides to go bankrupt anyway. When we examine the contract the client signed with the debt settlement company we find that they are indeed paying thousands of dollars to have these people “settle” their debts. The client then discovers that the settlement companies always put in their contracts that the companies don’t provide any legal protection if a creditor decides to sue. And the creditors will sue. These settlement companies work by charging you a large monthly fee which mostly goes to pay them in the beginning. Then when you get done paying them they start putting money away for the creditors so they can offer them settlements one by one. There is no assurance that the creditors will accept the settlement and the creditors who are last in line often sue anyway. That is when we bankruptcy attorneys are called when it is too late to save you the money. We can file the bankruptcy and get you out of the debts but if you had called us first we would have saved you the thousands you spent on the debt settlement company for nothing. If you hire an attorney in the first place you would not only save money but by law the creditors would have to call us and not you. Creditors are unlikely to sue once you engage an attorney because they know they must cease all contact with you by law and if they do file a lawsuit then we bankruptcy attorneys can immediately file your bankruptcy case and stop their lawsuit in its tracks. The creditors would then lose all their filing fees and attorney fees and the underlying debt. You can see that the creditors are thus very motivated to settle once a bankruptcy attorney enters the picture. 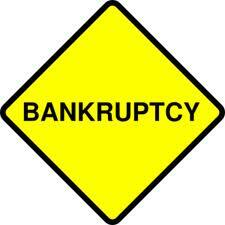 Call a bankruptcy attorney if you are thinking about settling your debts. The attorney can file a bankruptcy or get you the best deal on a settlement probably far cheaper than a debt settlement company. Over the years I have seen that time and time again the timing of the filing of the bankruptcy is crucial for a debtor to receive the most out of the bankruptcy as he or she possible can. Your filing discharges all debts before you file. You can amend and add debts during the bankruptcy but after it’s closed it’s more difficult. 1) If you are going to incur some unavoidable debt– in the near future you don’t want to file too soon. You may want to wait until after the debt has been incurred. Many people have a medical issue like an upcoming operation that is going to occur in the near future. If that is the case then it is best to wait until that medical procedure is finished and you are billed for it. Then we can add the debt to the bankruptcy and the debt can be discharged. So if you have debts that will be incurred in the near future it is a good idea to wait to file so you can include them in the bankruptcy. 2) If it has been less than 8 years since you file a chapter 7- Then you want to wait until the 8 years elapses before you file again. 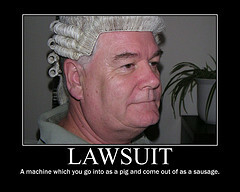 If you file too soon the case will be dismissed. We need to carefully examine when your last filing occurred before we file for you again. 3) If some creditor has sued you– then you want to be sure to file in around 30 days after the suit was served on you (not 30 days after the suit was filed). So try to remember when you were served with the suit and you have 30 days from that day to file the bankruptcy before the creditor can default you and begin to attempt to collect on your debt. 4) If foreclosure has been started then you want to probably get the maximum time to stay in your house. In this case you want to wait to file until the last possible day before the trustee sale where your house will be sold. A filing the day before the sale will stop the sale and the creditor will have to file a motion for relief from stay to proceed with the sale. From my experience this will delay the sale for around two more months on average in a chapter 7. If you file a chapter 13 you can stop the sale but if you want to keep your house then you would have to have sufficient income to pay for it and in addition you would need disposable income to at least partially pay your unsecured creditors. 5) If you are currently unemployed or underemployed and you believe that you might get a higher paying job in the future then you might want to file soon. It is possible that the new job could pay you sufficient income that you would fail the means test and thus lose your ability to file a chapter 7 because you waited. I have encountered this case a few times and would be a shame to not file quickly here. To lose a chapter 7 can mean that you would be in a 13 where for up to five years you would be paying debts you could have discharged if you filed sooner. 6) If you have recently charged some large amount on your credit card then you might want to wait for some time to elapse so that this charge ages. This also occurs with cash advances. Both can invite a fraud challenge from a credit card company if the charges are too large and too soon before the bankruptcy filing. Here I like to look at the charges and see when they were made, for how much, for what purpose, and how recently. I analyze the risk of filing on a case by case basis. 7) If you just want to get started re-building your credit then you would want to push the bankruptcy forward and file right away.